If you thought today was just your average Tuesday, think again because February 5 is World Nutella Day! In honor of the chocolate hazelnut spread’s 12th annual holiday, the brand is celebrating with free jars of the good stuff. And you can get your hands one. If you’re lucky enough to reside in either Chicago or New York—or can just jump on a plane really, really fast—head straight to your local Nutella cafe. We mean ASAP. The first 100 customers at both locations will get a free jar with their name personally inscribed. 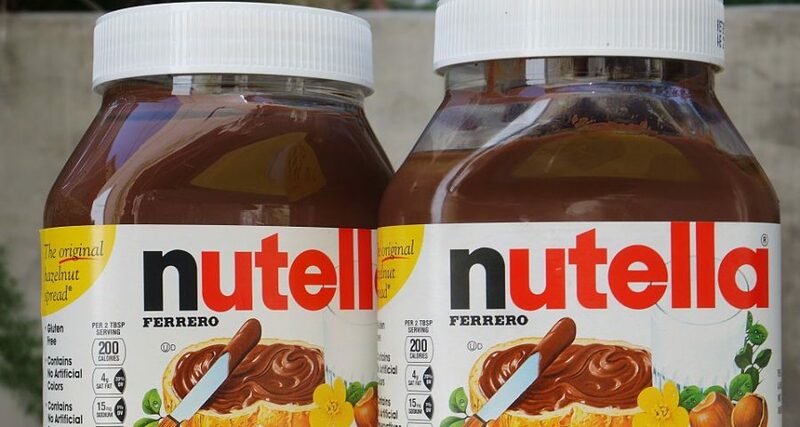 And even if you miss out on the first round of freebies, you can still score some celebratory Nutella. The next 400 brand fans will get a complimentary jar with the purchase of any menu item. Because Nutella is just as extra as our personal passion for the spread, the participating cafes are also hosting additional festivities. New Yorkers can stop by the store’s interactive demonstration for a quick lesson on a few menu favorites, before a DIY instruction on the unreleased Mandarin Cup with Crumble and Nutella. The station will also soon introduce a late night bite menu and tasting kitchen to preview new flavors. Meanwhile, personalized jars are making their debut in Chicago for the first time. The product launched in NYC this past fall and quickly flew off shelves.